The rural garden is subjected to many potential threats, but deer are one of the largest and most destructive. There are no fool-proof deer repellents and their ability to jump over even the tallest walls proves that man-made structures are no deterrent. Deer primarily eat foliage and are not picky about what kind. They do not obey "No Trespassing" signs and do not care about property rights. The garden is just a grocery store with a 24-hour open policy. Some plantings, like cactus, can be helpful in preventing garden damage. Deer are beautiful graceful creatures and spotting one in nature is always a treat. But for the gardener who lives in deer country they are a nuisance. The plants eaten are not the only ones damaged, plants deer tread on are bruised and sometimes killed. 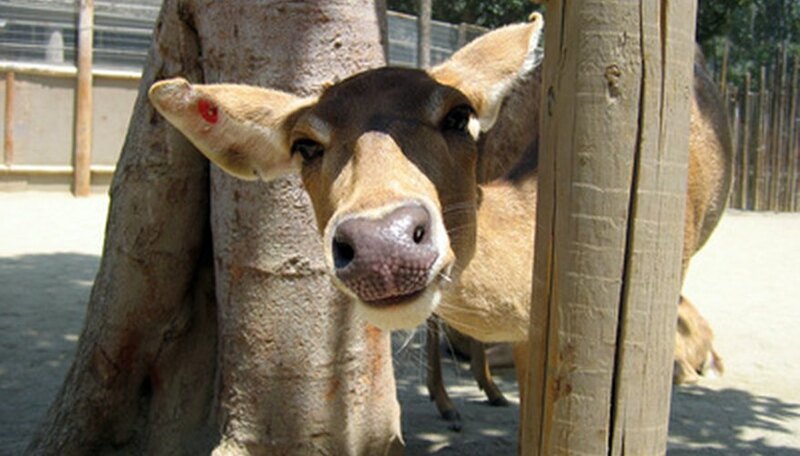 Male deer rub their antlers on trees or other hard surfaced plants and can scrape and gouge the plants. Tender young shoots and flower buds are delicacies to deer and this diminishes the growth and attractiveness of the landscape. Sharp spines are the major benefit to planting cacti. No animal wants to get skewered with such painful spears and their tender tongues and eyes are in danger too. 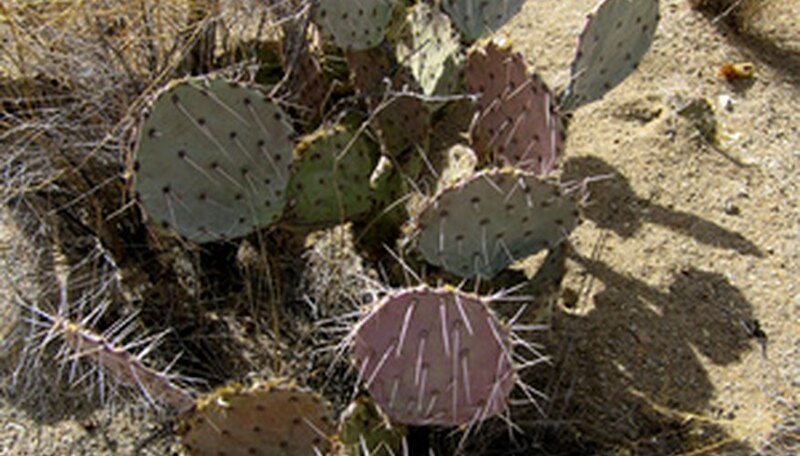 Some cacti exude a toxic sap when the skin is pierced and this can add to the repellent nature of the plants. Plants with extremely long spines are actually not as effective as those with dense smaller spines. This is due to the dexterous tongue of the deer which can work around the bigger spines, according to online resource Wonder Quest. Most cacti do need sun and fairly dry conditions, so the suitability of cactus planting in your garden must be taken into consideration. While no plant is "deer-proof" there are some that will cause enough discomfort that the animals will leave them alone. Almost any cactus that can grow outdoors will be effective, but some are recommended by experts. The spined prickly pear (Opuntia spp.) has huge spines and is a painful deterrent, according to New York state native plant resource, Catskill Nursery. Rock rose cactus and hedgehog cactus are attractive additions to the garden and repel the pests. The University of Texas Extension horticultural site recommends the low-growing, shrub-like cactus known as Echinocereus triglochidiatus, more commonly known as kingcup cactus This plants gets rich red trumpet-shaped flowers as an added bonus. They also recommend the Barrel cactus, or Ferrocactus acanthodes, with its rows of different-sized spines that would chase away any animal. Combining cactus with sedum and sempervivum, which are deer repellents, makes a drought- and deer-resistant combination. The addition of cactus to the home landscape can be an effective deterrent to deer, however, if a deer is really hungry not much will stop it. Some cacti flower, and deer find anything flowering irresistible, according to University of Texas Extension. Also, many cactus grow from the bottom up and the tender new growth does not have the hard spines until the growth has aged. The spines may not bother the deer, so they will commence eating the softer growth. Since cacti are slow growers, this can have a negative affect on the plants. Nothing is going to deter a buck who wants to rub the velvet off his antlers and this can also cause considerable damage to your cactus. In areas with deer, it is wise to plan the garden with deer resistant plants, but other precautions can be taken. Commercial repellents and easy-to-use home remedies can be effective. 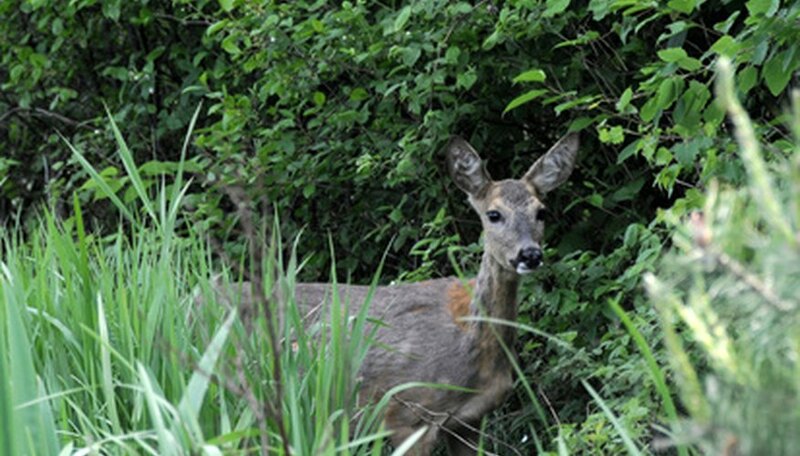 Human hair repels the deer, but does not work on urban deer as they are used to the smell, according to Texas nursery Rainbow Gardens. Fabric softener sheets can be hung up and deter the animals. Coyote or other predator urine is available, but may bother domestic pets. Herbs, including artemesia, tansy, garlic and allium can be effective in deterring deer when planted among your other tender plants. Catskill Nursery: Deer Proof Plants?